This test measures the level of PSA (a protein produced by the prostate gland) in blood. If a man has a higher PSA level, there is increased likelihood of him having prostate cancer. However, there are several other reasons for having an increased PSA level. Some men, who actually have prostate cancer, may not have an elevated PSA. This is done by taking a blood sample from one of the veins of body. The blood sample is then sent to a laboratory for analysis. Apart from prostate cancer, there could be other medical conditions which are responsible for increasing the normal levels of PSA in blood; hence the test result with increased PSA is not always due to a cancerous condition. Yearly PSA screening should begin for men from the age of 50 onwards. Prostate cancer is common in men. Hence, it is important to get screened for such a serious disease. This cancer like other cancers if detected early can be treated in the best possible way. 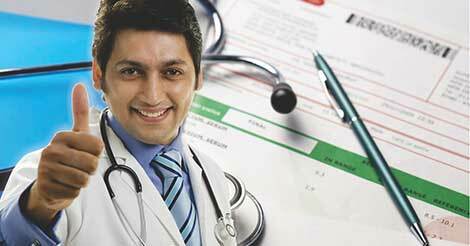 Indus Health Plus offers a complete health checkup package which includes the PSA test for prostate cancer. To connect with a medical professional for the same, fill the given form and our team will contact you.